"I'm tired. Promise I'll make it up to you in the morning" Does. Twice. 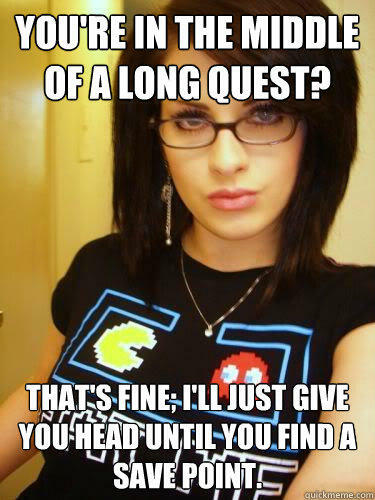 You're in the middle of a long quest? That's fine; I'll just give you head until you find a save point.